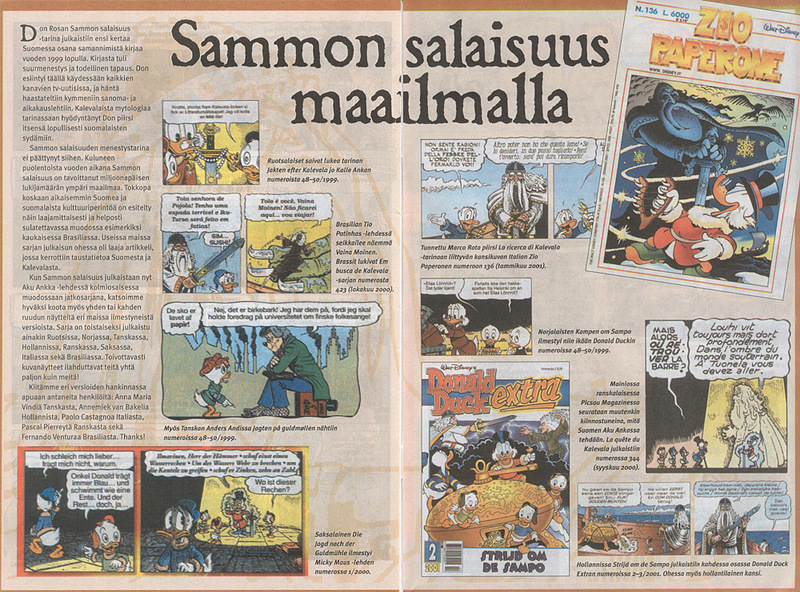 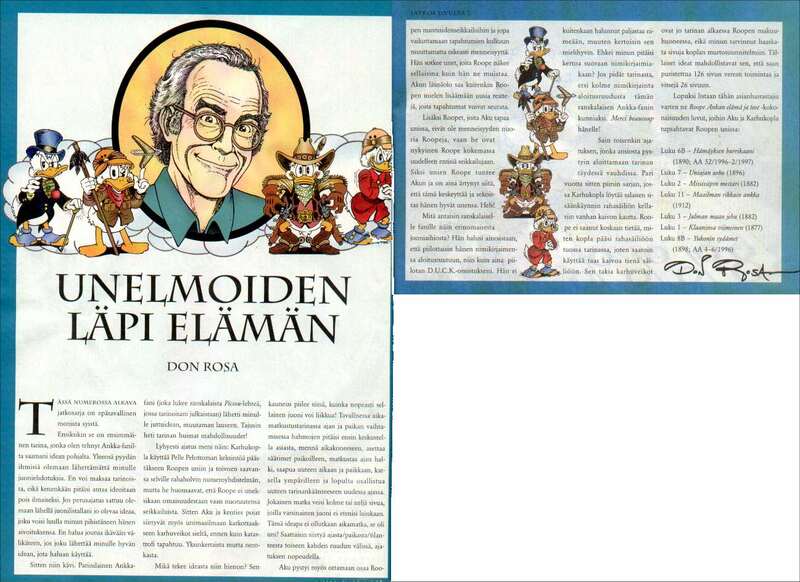 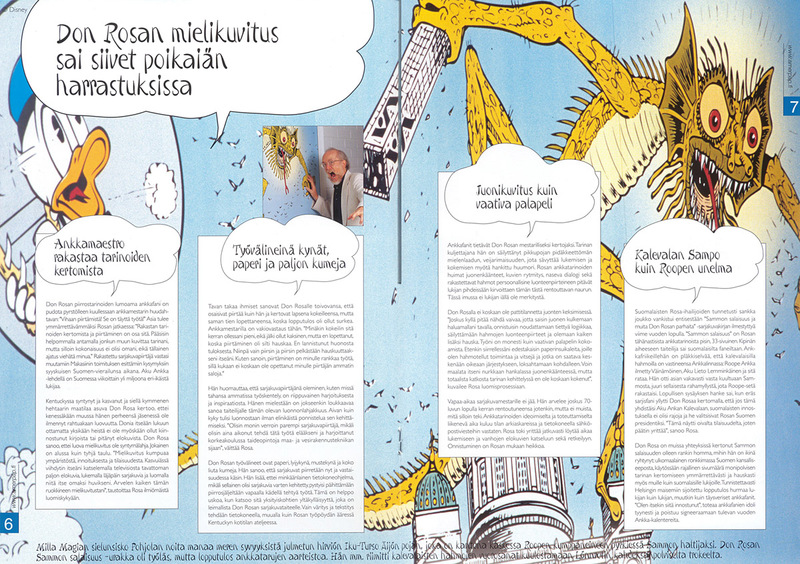 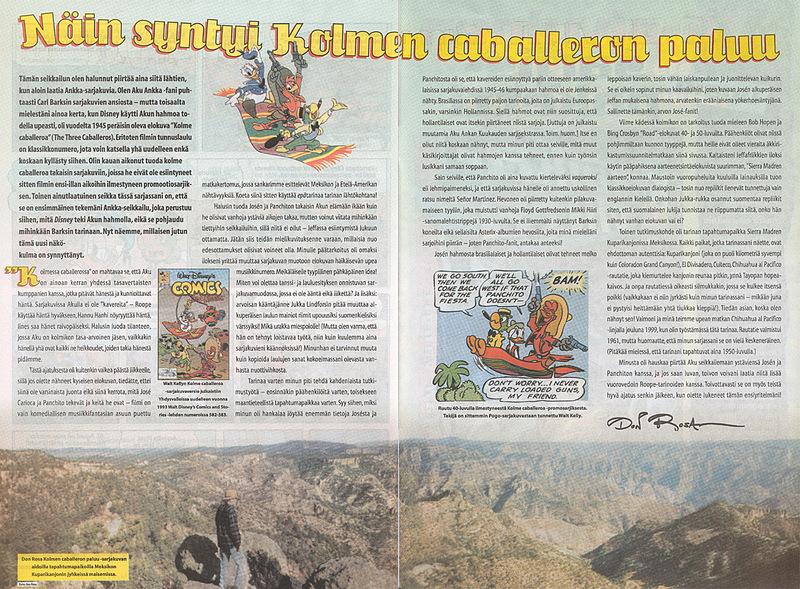 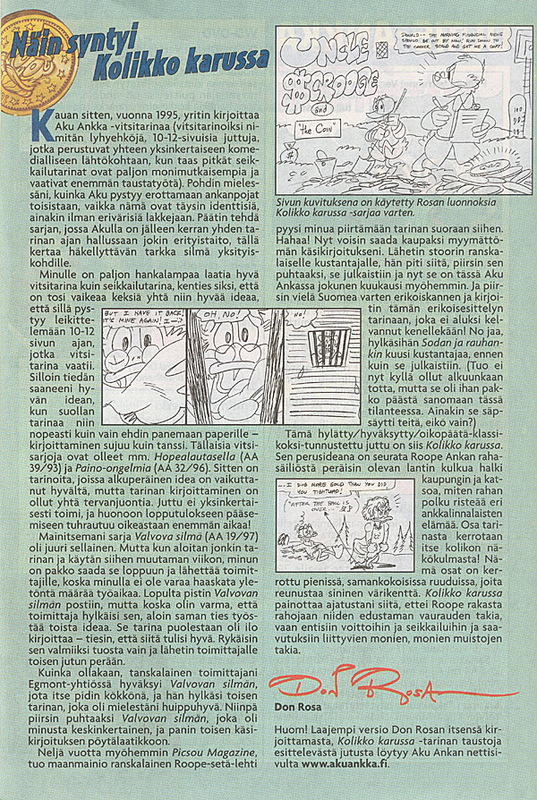 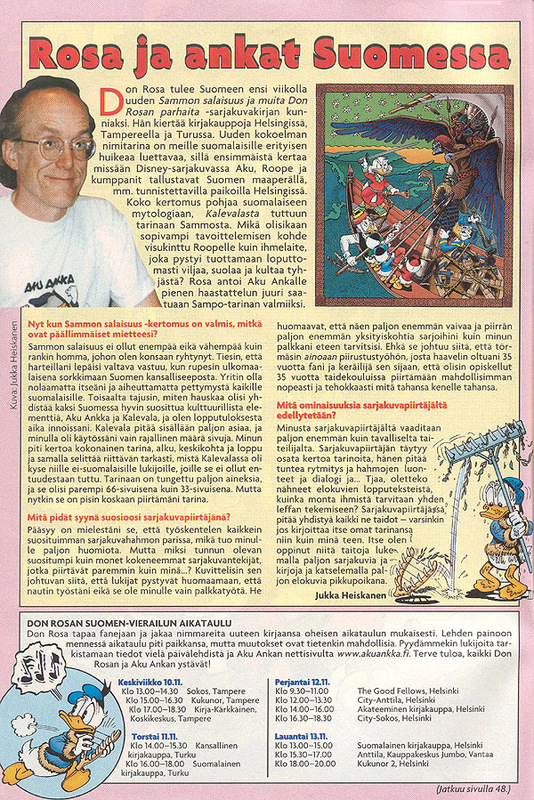 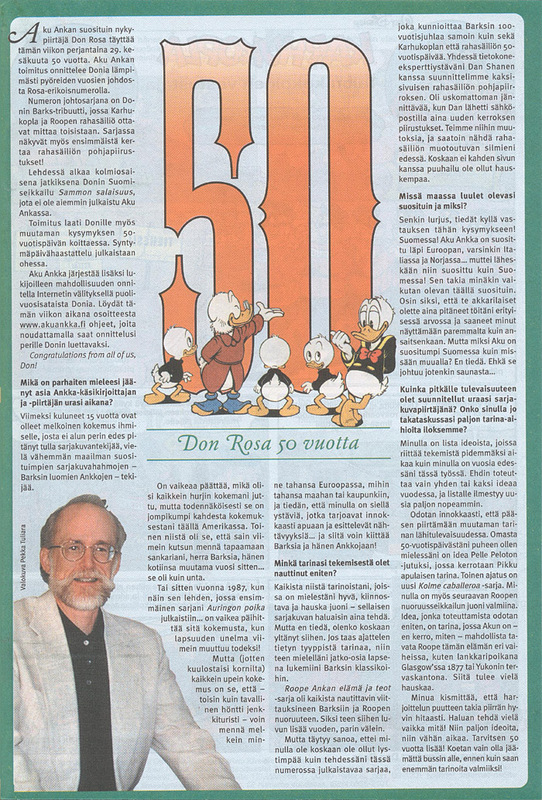 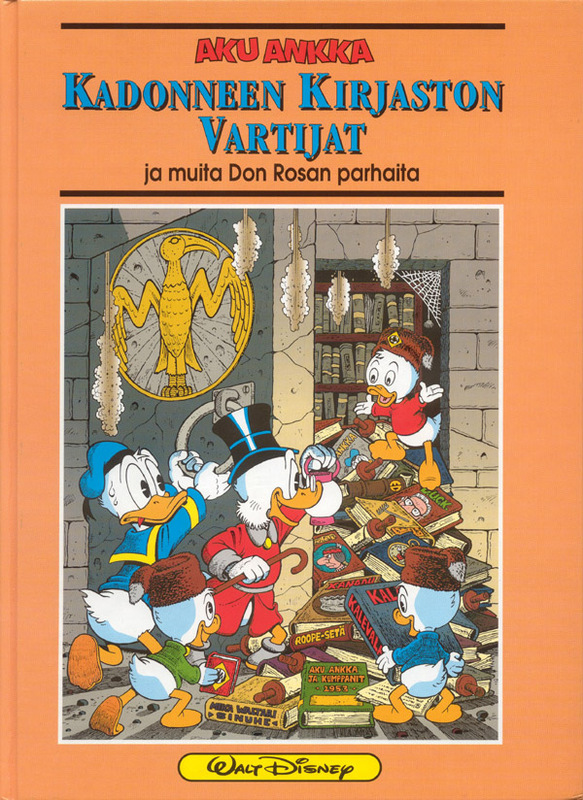 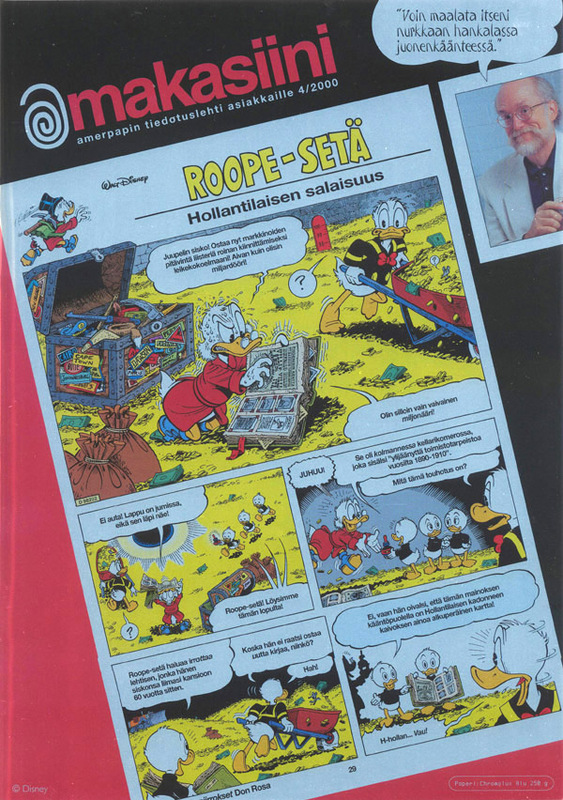 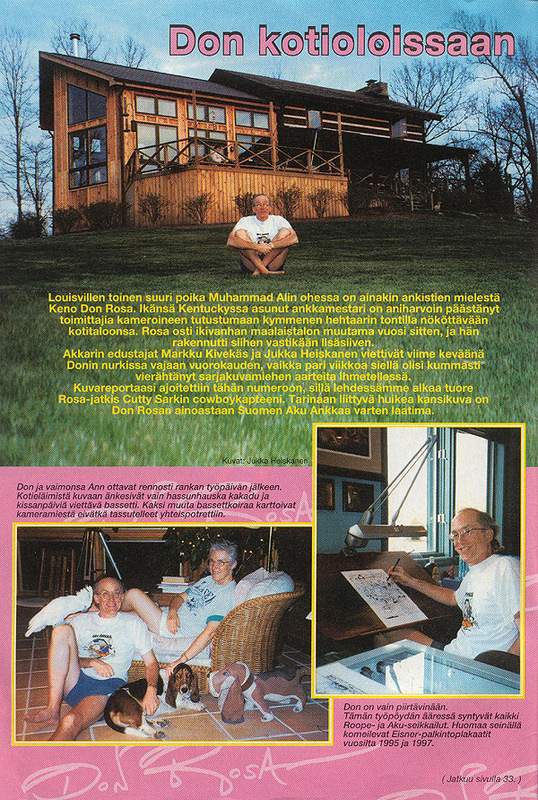 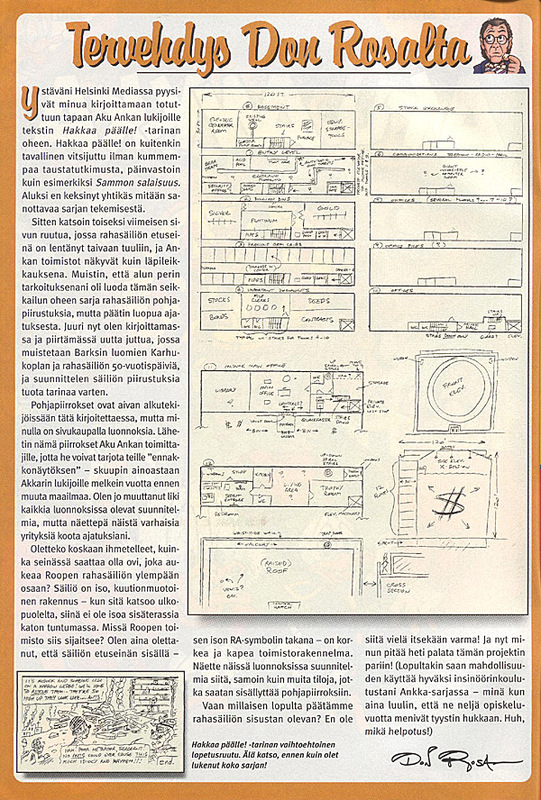 Here is listed Don Rosa's production in Finland. 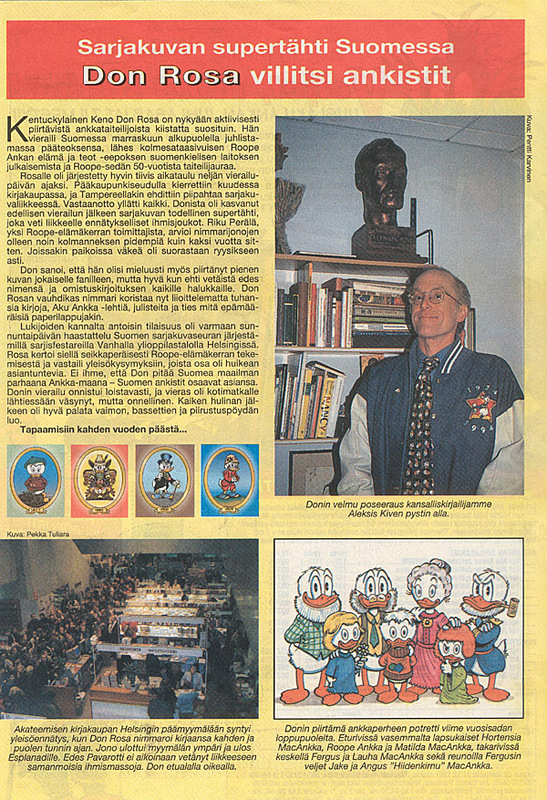 The list is originally made with the help of Kimmo Lakoma's Don Rosa-list sometime in 1998. 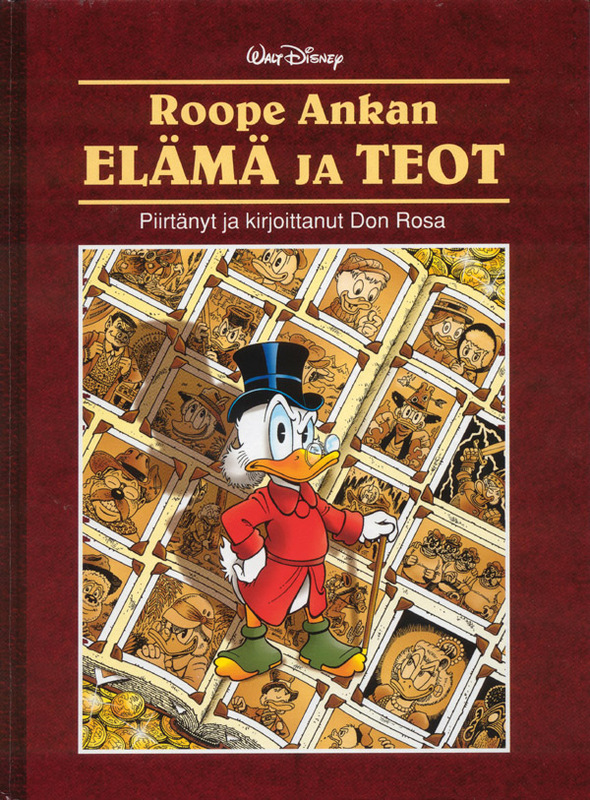 The marking "ARTICLE" doesn't necessarely mean that Rosa would have written it by himself, but that the article is about him.